Seth Godin is the author of 18 international bestsellers that have changed the way people think about work and have been translated into 38 languages - among them Unleashing the Ideavirus, Permission Marketing, Purple Cow, Tribes, The Dip, Linchpin, Poke the Box, and All Marketers Are Liars. He writes the most popular marketing blog in the world and speaks to audiences around the world. He is the founder of the altMBA, the founder and former CEO of Squidoo.com, the former VP of Direct Marketing at Yahoo!, and the founder of the pioneering online startup Yoyodyne. 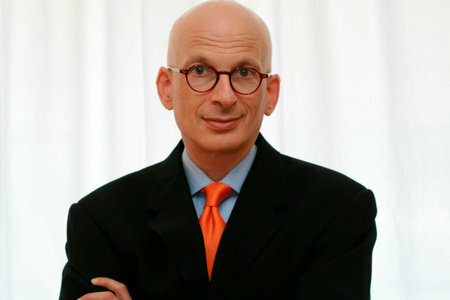 You can learn much more about him at sethgodin.com..